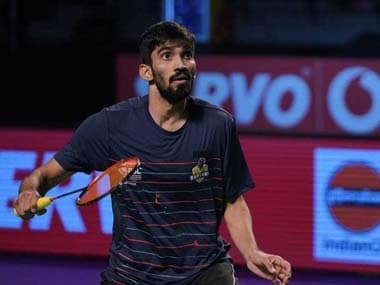 New Delhi: The highly-successful Kidambi Srikanth will look to complement Olympic medallists PV Sindhu and Saina Nehwal as the trio spearhead the Indian badminton team's campaign at the upcoming Commonwealth Games in Gold Coast. The Commonwealth Games will be held from 4-15 April. 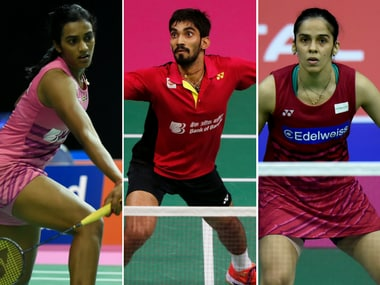 The mixed team event which starts on 5 April will see World No 3 Srikanth in action while World No 11 HS Prannoy will be backing his compatriot up in the men's singles department. In the women's singles, Sindhu and Saina will shuffle roles as the team will pin hopes on the event. The pairing of Chirag Shetty and Saiwiksairaj will look to set the court on fire in their debut performance at the Commonwealth Games, while Pranaav Jerry Chopra will pair up with Sikki Reddy for the mixed doubles clashes. In the women's doubles section, the pair of Sikki Reddy and Ashwini Ponappa will look to continue their impressive performances as Ashwini will look to emulate her 2010 gold medal winning run with her new partner. "I feel we have strong chance to win the competition this year as our players have surged through the rankings and will give it their best shot at this prestigious event to bring laurels for the country," Anup Narang, general secretary of Badminton Association of India (BAI), said after the selection committee meeting in Kolkata. The Indian team have been drawn in Group A against Pakistan, Sri Lanka and Scotland, which makes their task cut out to progress to the knockout phase of the tournament. After the winners in the mixed team event are decided by 9 April, all players will move onto their respective individual events from 10 April and try to make their mark on the podium on 14 and 15 April. "It was tough to choose these players but after a long discussion we have chosen the ten best players to compete in the Commonwealth Games and we are positive that they will make the country proud," Narang said. WOMEN: PV Sindhu, Saina Nehwal, Ashwini Ponappa, Sikki Reddy, Ruthvika Shivani Gadde.